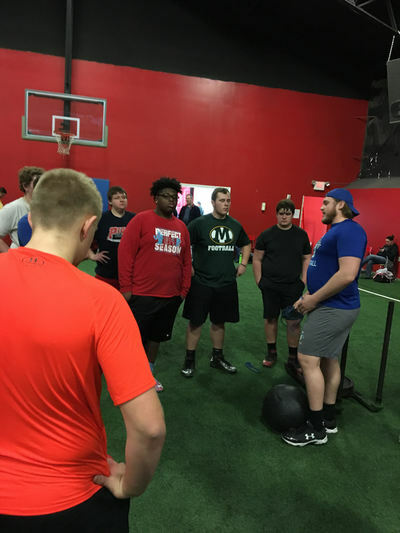 O-Line Training at Enhance U! Eligible players: Students in grades 7th-12th. ​The Showcase will run 9am-12pm. No Walk-ups will be accepted. Combine drill results from the 2019 Big Man Showcase. Blockers Offensive Line Academy is excited to announce we are now able to breakdown your hudl highlights. We will break down your highlight with a voice over step by step breakdown of your technique. To request your break down please click on Blockers Technique Breakdown to request your breakdown. Have you ever wondered if your Hudl highlight film is helping or hurting you in the recruiting game. Send us an email for a complete film breakdown. 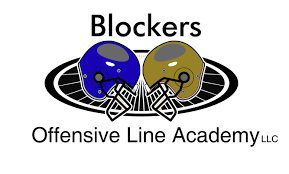 email us at BlockersOffensiveLineAcademy@gmail.com We are here to help all Offensive Linemen to improve their technique and to prepare themselves to be the best Offensive Linemen they can be. Register for the February 3rd 2018 O-Line vs D-Line pass blocking/pass rush showdown. Open to all O-Linemen and D-Linemen in the class of 2018, 2019, 2020, 2021, and 2022 Register today as spots are limited. 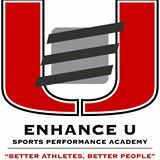 The showdown will take place at Enhance U from 5:00pm-6:30pm. Coach Berk enjoyed success at the prep and college level during his career. A three-year varsity starter at Huber Heights (Ohio) Wayne (1997-98-99), Berk earned a full athletic scholarship to West Virginia University where he earned numerous honors on the field as a four year starter and in the classroom. During his collegiate career, Berk learned from some of the best offensive line coaches in college football. 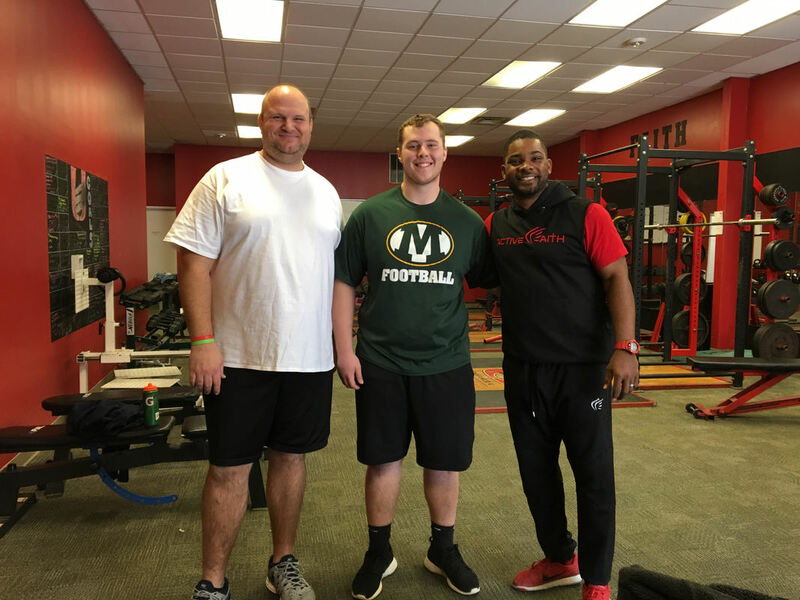 Berk was first tutored by Bill Legg who has been an offensive line coach and offensive coordinator at West Virginia, Purdue, Florida International and currently at Marshall. The next coach to work with Berk was current Florida State offensive line coach Rick Trickett who is one of the top and most respected offensive line coaches in the college game. Trickett has coached several All-Americans during his storied career that has seen him make stops at Auburn, LSU, West Virginia and currently with the Seminoles where he helped them win the 2013 national championship. Following his college career, Berk continued working on his craft being tutored by NFL Hall of Famer and Cincinnati Bengals great Anthony Munoz. Berk learned exclusive techniques and drills to improve in every aspect of being an offensive lineman from Mr. Munoz. After retiring from the game, Berk returned to Wayne as an educator and worked on the football team as an offensive line coach and offensive coordinator before taking an administrative position within the school district. As a four year starter for the Mountaineers, Berk started games at both tackle and guard positions while also playing in one game as a tight end. Articles on Berk as a player and coach. Stance, Balance, weight shifting, reach blocking, cut off blocking, drive blocking, down blocking, trapping, pulling, hand placement, pass progression, vertical sets, kick sets, post sets, and much more! 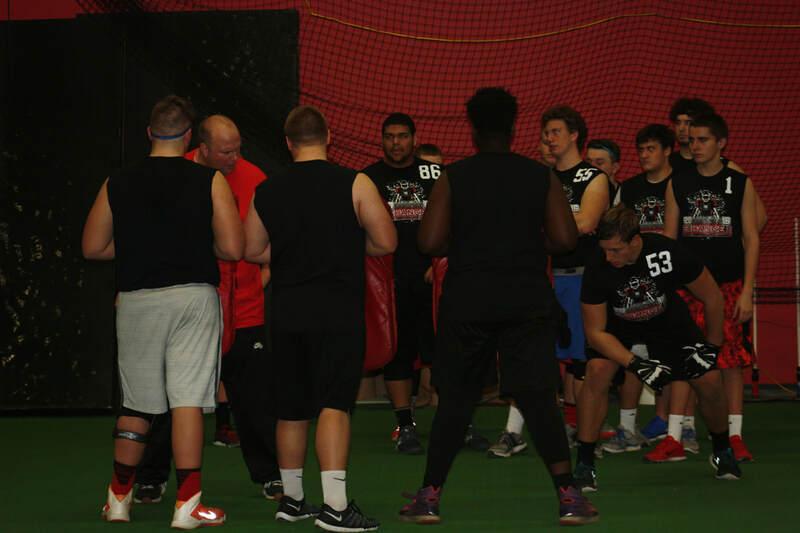 We are committed to developing and enhancing the overall offensive lineman. We focus on the overall fundamentals of a true offensive lineman. We assess each of our athletes to determine what their strengths and weaknesses are. 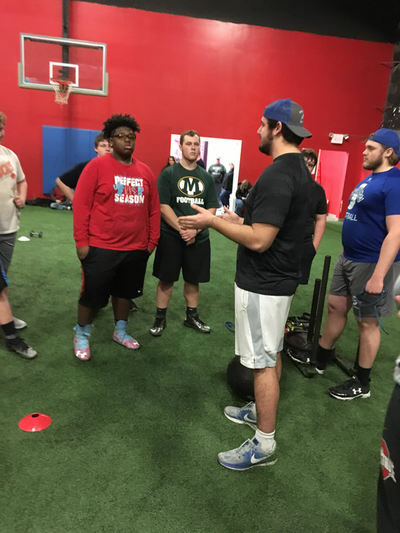 From their we focus on core fundamentals for all O-lineman, Stance, Footwork, Leverage, Hand placement, Run blocking techniques, and Pass blocking techniques. Our drills our based off of the same drills that the best college and professional O-Lineman do. We live on TOUGH street. The farther you go down TOUGH street, the TOUGHER it gets. We live in the last house!